As is usual for anybody who has played bowls at Newmarket Avenue Bowls Club we visitors received a very warm welcome, followed by the two ladies called Kim from Newmarket Day Centre producing an excellent buffet lunch.Then onto the green for a photograph, a Friends pen for all the home players followed be a spider where the money collected went to support the East of England Air Ambulance. The green played very well, a credit to Green Keeper John and his team who have the trail-blazing benefit of the newly developed ATT mowing machine with its variety of cassettes for maintaining the green. There were a few spots of rain (Graham had his umbrella, but Mike’s was in his car with his waterproofs – silly boy), but the competitive bowling was enjoyed by everybody, especially the Friends from 11 Counties with a win by 21 shots – thank you to the Warwickshire bowlers who came in to help Adie to complete the team at the last moment following some late withdrawals. 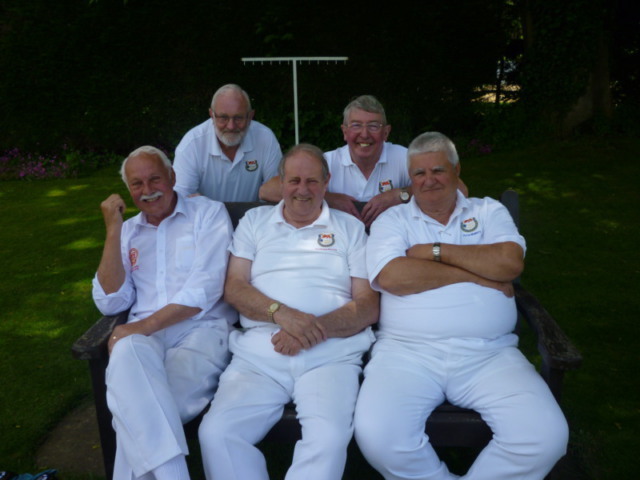 It was good to see Newmarket Avenue Captain for the Day Tony Taylor bowling a full 21 ends for the first time this season and he followed this up with an enjoyable welcoming speech after a most tasty meal. 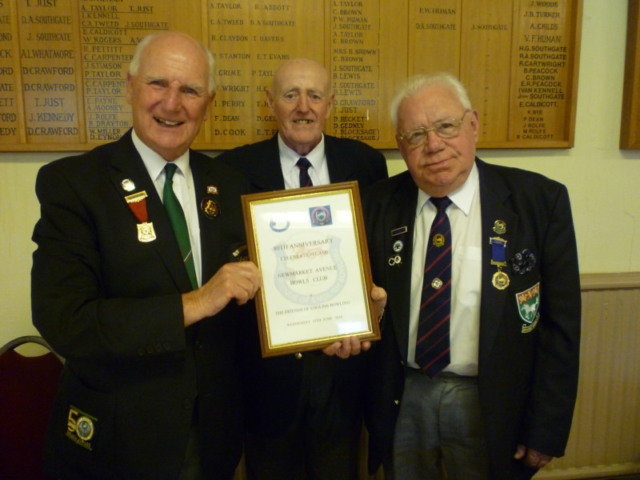 President John Grainger expressed his appreciation to all of the Friends who had made the day such a special occasion for the Club. Captain of the day Mike Poole thanked the Club for its excellent hospitality, Rachel for manning the bar, rewarded the Friends highest winning rink Pat, Margaret, Brian and Tom with gifts, congratulated the Club on winning the 2015 Men’s National 2 x 4’s competition and cup at Leamington and presented a framed Certificate to Club President John, following which Mike proposed a toast to the Members and to the Club in celebration of its 80th Anniversary year. 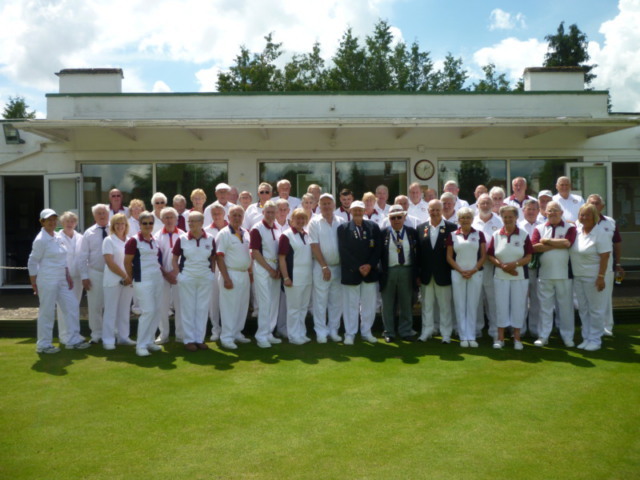 Thank you Newmarket Avenue Bowls Club for a really memorable day.